It can often prove to be a tricky assignment facing a late replacement foe after having spent weeks training to prepare for another fighter with totally different physical dimensions coupled with a different fighting style, and WBA/IBF heavyweight ruler Anthony Joshua found this out last night in Cardiff. Joshua got the job done in the end, winning practically every round before stopping (via terribly premature stoppage) a game Carlos Takam, but the critics have come out in force nonetheless. Expected by almost everyone to have a relatively easy time of things with Takam (who replaced an injured Kubrat Pulev) Joshua instead had to dig deep, take a few shots and find his second wind. As a result, the AJ critics have offered some harsh words. Parker, who holds a non-title decision win over Takam, is looking at his next fight, as is Joshua. It’s possible the two rival champs could meet next, maybe in the spring; but of course AJ is also eyeing that massive fight with WBC king Deontay Wilder. Just who is the top dog out of these three? Maybe Joshua does “gas” in fights, but he finds his aforementioned second wind and he gets the job done. And without a doubt Joshua carries far more firepower than Parker, he is also far, far bigger and he has been in with superior opposition. And though Joshua did struggle, at least somewhat, against Takam, Parker’s critics will point to his awful, laboured decision win over the late replacement foe he went in with earlier this year, in the unheralded Razvan Cojanu who he fought back in May. 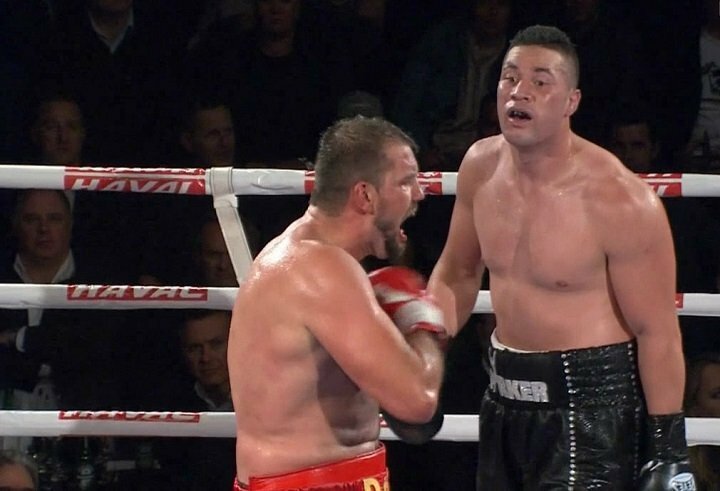 And in his last fight, against Hughie Fury, Parker hardly set the world on fire in winning yet another 12 round decision (his third in a row). ‘You’re only as good as your last fight,’ the old boxing adage says. Who looked better in their last fight: Parker or Joshua?